There's nothing more annoying on a frosty fall morning than waking up to a cold house - especially if you expected your furnace to be working properly. Not only is your home uncomfortable, but depending on the weather, it can also put your home at risk for bursting water pipes, mold, and a host of other problems. Obviously, you want to get this fixed right away. The problem is that modern gas furnaces are both more efficient and more complicated than those from over a decade ago. What might have once been caused by a troublesome pilot light from a dirty thermocouple now involves smart systems that auto-test combustion air inducers, electronic ignition sensors, pressure switches, and exhaust flow monitoring. Even so, there are a few basic things you can quickly check over if this happens to you. First, if this happens when you start up your furnace this year, make sure your furnace is getting power. Check your fuse box for any tripped circuit breakers, especially since this could indicate a bigger problem with your electrical system. Next, ensure that the furnace power switch has been switched "On." Since furnaces can be tucked into tight, confining spaces or closets, the switched can be accidentally switched "off" easily. Look for the power switch mounted on the side of the furnace. It may also include a lift-able metal housing containing a fuse. If the fuse is blackened and burnt, then it will need to be replaced. However, remember that a blown fuse may also indicate a bigger system problem, so the system should be inspected by a technician. If your furnace has already been fired up this heating season, look outside to make sure that nothing is blocking the fresh air in-take and the exhaust. Not all furnaces vent through chimneys. Many newer furnaces have their fresh air intakes and exhausts run through the side of the home, and sometimes windblown leaves, insects, and moisture issues can plague heating systems. If this is the case, you might want to consult a licensed technician about possible venting solutions. Check your thermostat settings. Make certain your thermostat has been set to "heat" and that is it set to a temperature high enough for the furnace to come on. While that sounds obvious, it's a small detail that is easily forgotten by a worried homeowner. Ironically, those would-be helpful programmable thermostats settings can be confusing. According to How People Actually Use Thermostats from Lawrence Berkeley National Laboratory, "Today's modern programmable thermostats (PTs) are complicated and difficult for users to understand, leading to errors in operation and wasted energy." For that reason, it's a good idea to keep your thermostat's user's guide stored near the thermostat. That way, you can consult its troubleshooting section in the event of a start-up problem. One other simple-but-important task is to check that the batteries aren't dead. Many programmable thermostats usually feature a flashing "low battery" icon on their control screen. If you see a "low battery" warning, promptly replace them with fresh batteries. If your furnace is firing up but it's not blowing as hard as it normally does, then it might mean that the air filter needs to be changed. Air filters trap dust, hair, and other particles in the air, and over time, the filter gets so full of stuff that it can restrict air flowing through your furnace system. On most residential heating systems, air filters should be changed every 3 months. If you have tried everything and your furnace will still not start, call for a licensed technician to inspect your furnace. Newer gas furnaces are far more complex than earlier models so you need expert advice. Often a service technician can tell you about factors that are common to your furnace make and model that you can solve yourself in the future. They can also identify and repair components before they require an expensive emergency service call. 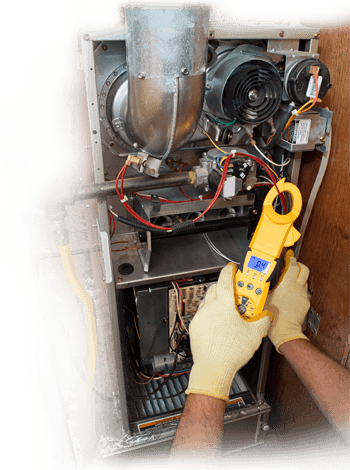 The best way to keep your furnace stay efficient and reliable is to have it inspected before you really need it. Before cold weather strikes, set up an appointment to have your heating system inspected by an expert. 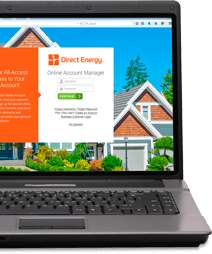 Yearly fall maintenance can save you time, frustration, and money when it's done right by a licensed technician from Direct Energy.